New technology and digital tools are reshaping how retail banks do business. As a result, consumer preferences and behaviors are transforming to accommodate these changes. Nowhere is this less evident than how clients interact with banks. But even with all the advancements in e-banking, people still want a face-to-face experience. One area that has successfully managed to reconcile the traditional and digital channels and revamp the user experience is appointment scheduling. 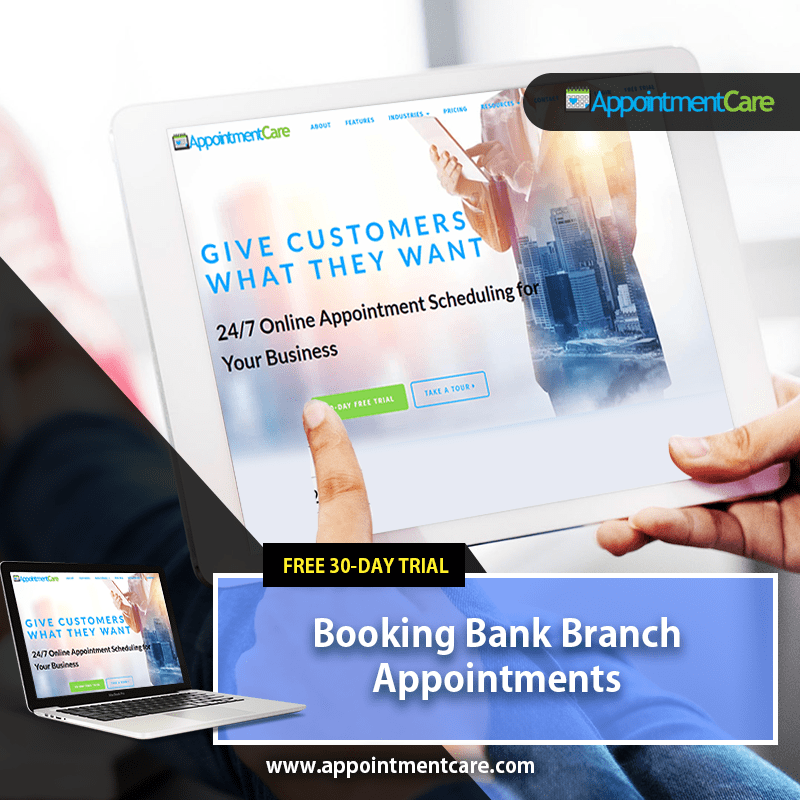 There is the positive reaction among clients who are using appointment scheduling software to book meetings at their local banks. When Do Clients Schedule Appointments? A recent survey shows that scheduled appointments are more dominant than walk-in visits at prime business hours. Scheduled appointments peaked in the morning between 10:00 am and 11:00 am, and at 4:00 pm. In contrast, walk-in visits at that time were far lower, and generally peaked from 12:00 pm to 1:00 pm (lunch hour appointments). When it came to visits per day, walk-in visits were highest at generally low-traffic days (Monday, Tuesday, and Wednesday). However, they failed to outnumber scheduled appointments at the end of the week, when the majority of account owners visit their local branch office. What Do Clients Schedule Appointments For? When it comes to the reasons clients schedule appointments for, it usually involves high-value services. This can include services like consultation services, consumers loans, mortgages, car loans, reimbursement loans, investment loans and similar lines of credit. Knowing this information ahead of scheduled appointments allows an account manager to prepare the right financial advice for the client to increase the success rate of consultations. In doing so, they maximize their performance and the output of the branch office. How to Maximize Appointment Scheduling? Due to their appeal, account owners gladly accept new systems, like mobile apps, online and other digital channels. But at the same time, they are hesitant to let go of the ones they currently use. They want new features to add to their experience, not replace existing channels. An appointment scheduling app underlines the intent to provide convenience and accessibility with a full range of available channels. However, even the most receptive consumers of digital channels want to have the option to book appointments the traditional way. It is usually when they are dealing with complicated matters, and require expert advice from your finance professionals. 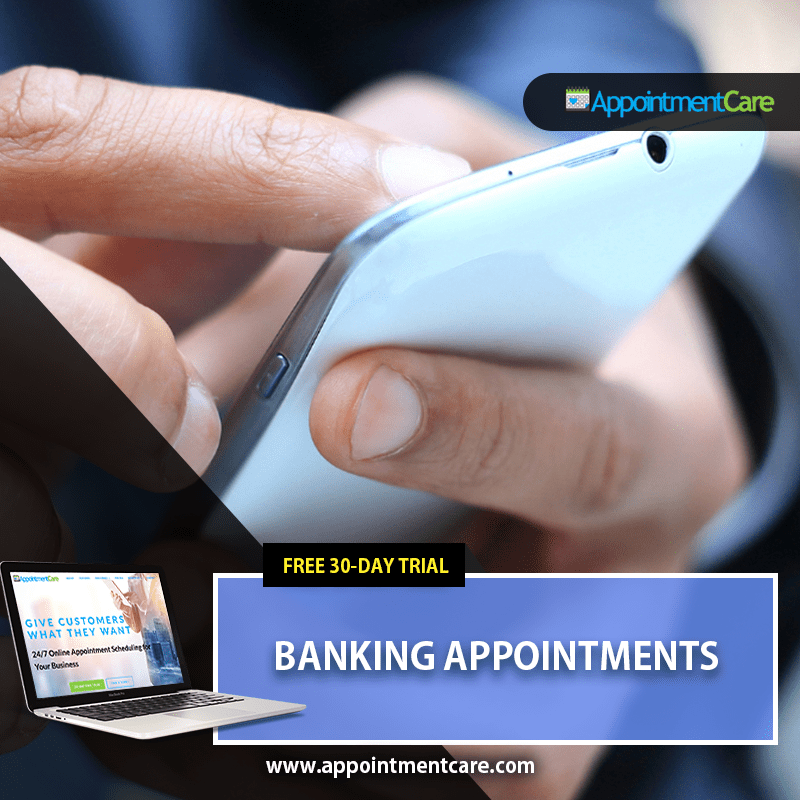 Asking account owners to schedule appointments is less time-consuming for them. It also gives managers the opportunity to gather data to evaluate and improve scheduling. Knowing who they are meeting ahead of time, allows managers better organize available resources, so staff can better serve each client for optimal performance. As a result, It allows you to meet with more clients and streamline operations, and use resources to their maximum potential. And ultimately that cuts costs, improves performance, and increases sales output and efficiency. Appointment scheduling software allows you to take a data-backed approach to service. These tools make it easy for you to understand what clients want. They also pinpoint the time when they make visits that result in sales. Decision-making becomes data-driven and allows you to customize each decision to fit demand. This can be done at every branch office for maximum profit across the board. You can maximize the success of your appointments right now by leveraging the power of appointment scheduling software. Start a free trial today and make the switch to a new and better way of how you interact with clients and offer them your service.